You've got great inventory. You've got your online real estate. Product descriptions: written, proofed and looking good. At first glance, it would appear that you've got the makings of a highly successful online business. But there's one more important detail you shouldn't overlook. That's right: Great product photos. Great images are a must for selling products online, but consistently capturing great images takes a lot of practice and know-how. In this series on product photography, we'll cover the basics of what you need to know. We'll start with a look at the essential equipment you'll need to get started. Of course you have the standard snapshots you need to include with your listing. You probably placed your items on your kitchen counter or on a cleared-out spot on the floor. Or maybe you got a little fancy and used a clean white bed sheet as your backdrop. But is that really enough? The answer is simple: No, it's not. A set of detailed, high-quality photos can really set you apart from the competition and help boost your sales. Let's take a look at a few ways to improve your product photos—and hopefully—your sales. Most people assume that taking high-quality photos means having to purchase expensive equipment. But that's just simply not the case. You can work wonders with even the most basic camera gear available. The key is to know what you have. No, the camera on your iPhone won't suffice. You'll want a dedicated camera with a built-in flash or a spot to attach one. Don't worry! All cameras have one or the other, or even both, so you won't accidentally buy one without. Before you go out and spend a fortune on a professional-grade DSLR, take a look at some point-and-shoot cameras. Most models will have all the features you need for your product shots, and they cost a lot less than most DSLRs. Most recognizable brands, such as Canon, Nikon and Sony, have a wealth of options at great prices. Just make sure that they shoot decent quality photos and have an automatic setting. These days, those requirements aren't hard to meet. Even though newer camera models shoot pretty well in low-light situations, you'll sometimes find that your images still come out a bit blurry. That's why you'll always want to have a tripod handy. They come in handy in all lighting situations, and you can find some really great options for relatively little money. Pro tip: For the clearest images, use a tripod in conjunction with your camera's timer function set at 2 seconds to avoid camera shake when pressing the shutter button. In most cases, a good flash is all you need for your product shots. You're looking to eliminate harsh shadows caused by typical natural settings. 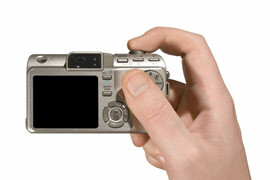 Point-and-shoot cameras will have a built-in flash, as will some DSLRs, and these will usually get the job done. Some cameras, however, will have what's called a "shoe" that accepts external flashes, which tend to be much more powerful and versatile. If you're looking for something more, you can purchase a lighting kit. This will allow you to place lights around your item to eliminate shadows from several different angles. This technique will also give your photos a more professional, studio look and feel. Of course, for smaller items, you could always use a light box. We have a tutorial on building your own on YouTube. The main focus of your product shots should be just that: the product. The easiest way to do that is to eliminate the background. Having both a solid white and a solid black backdrop gives you a little flexibility. After all, if you're trying to sell a black item, you'll want to place it on a white background. But it's a good idea to have a third option lying around. If you're selling a stuffed panda, you'll be stuck between a rock and a hard place with your black and white backdrops! Check back for Part 2 in this series, when we'll talk about photo editing basics. I like auctiva.com Make a business is easy. Best regards,Thossagha. I tend to disagree on the solid white or solid black backgrounds. I sell predominantly ladies clothing and my preference is for the outdoors. My father was a photographer for years and his best advice for me was that the picture is what sells the product. Natural lighting if at all possible and a little greenery in the background to make your product seem inviting and comfortable. There is absolutely nothing worse than seeing items on tile floors, carpeted floors, hanging on the doorknob on a hanger and my all time favorite, seeing someone actually wearing the item they are trying to sell! Thank you. I look forward to part 2 of the series. 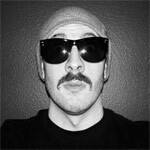 Andy Bonnenfant is Auctiva's former Web Content Strategist. An English major, he enjoys hunting on eBay for vintage rock band tees, selvedge denim, records and cowboy boots. He spends his spare time watching Golden Girls reruns and perfecting his Sinbad impersonations in front of the mirror. Opinions expressed here are the author's and may not be shared by Auctiva Corp. and/or its principals.